The 16-line Cisco IP Phone 7861 is designed for employees with active VoIP communications needs. It is well suited for administrative staff, managers, customer care agents, and supervisors. The 7861 has a 3.5-inch (89 mm) graphical, grayscale, 396 x 162 pixel-based display and is backlit. The 16 programmable line/feature keys offer tricolour LEDs to provide call-status identification at a glance. An integrated IEEE 10/100 Ethernet switch supports the traffic from a co-located PC. 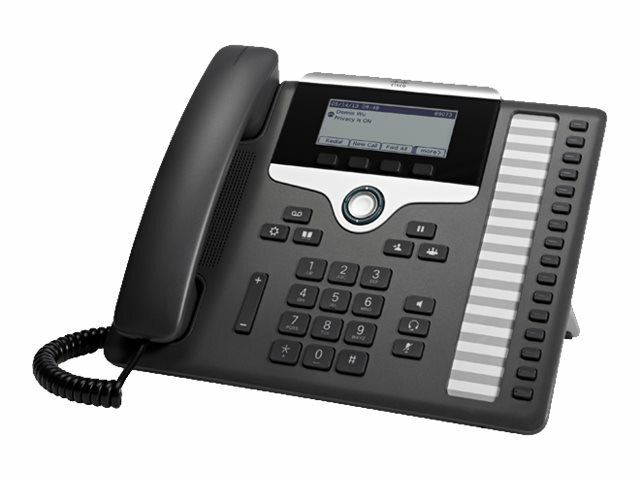 The Cisco IP Phone 7861 also includes a customisable, paper-label insert that can be locally printed for one-touch access to staff you contact frequently or other communications features. A clear film strip protects the paper label from dirt, spills, etc. As options, a wall-mount kit for the 7861 is available for areas without desks or where desk space is limited. A replaceable silver bezel is also available for customers who wish to change out the black that comes standard with the endpoint. 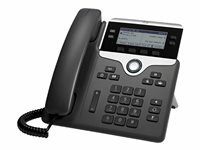 The Cisco IP Phone 7861 sets a new standard in usability and delivers a context-sensitive user experience. It features a high-resolution 3.5” (396x162) greyscale display with white backlighting for easy reading. Localised language support, including right-to-left onscreen text, meets the needs of global users.